Makeup for the nails, say what?! Believe that this treatment is the no nail polish polished look. I’ve only tried this for about 5 days and I’m so happy I had to report! So for the ladies who might not have a whole manicure regimen but want your nails to look presentable or even for the gals who want a 5 minute manicure I strongly suggest you try this out! The shade is a neutral milky pink with no shimmer what so ever. In addition to making the nails look healthy it’s also a treatment, just wait it gets better! It allows the nails to breathe and contains a Hexanal (hardens and strengthens nails) formulation that will restructure the nails within 4 weeks! 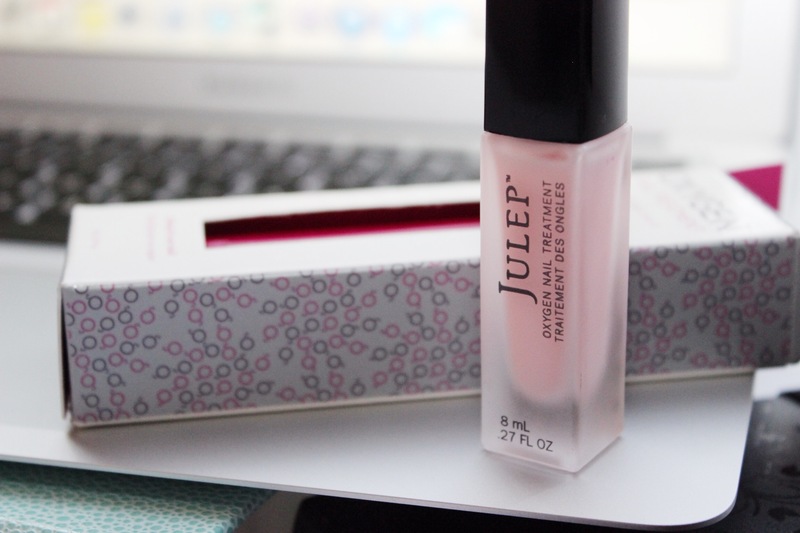 It also contains anti-aging plant stem cells and a protective UV filter. Like I said its only been 5 days since my nails have stopped peeling, are harder, and have actually changed in color (almost like a whitening effect). I love the concept of how it’s compared to makeup for the nails. The actual brush is nice and wide which makes for an even application. You’re suppose to apply this with nothing else on the nail and use it twice a week in order for it to work. I hate having bare nails so I have polish on all the time but to give them a break this is great to use without having to hurt the nail. 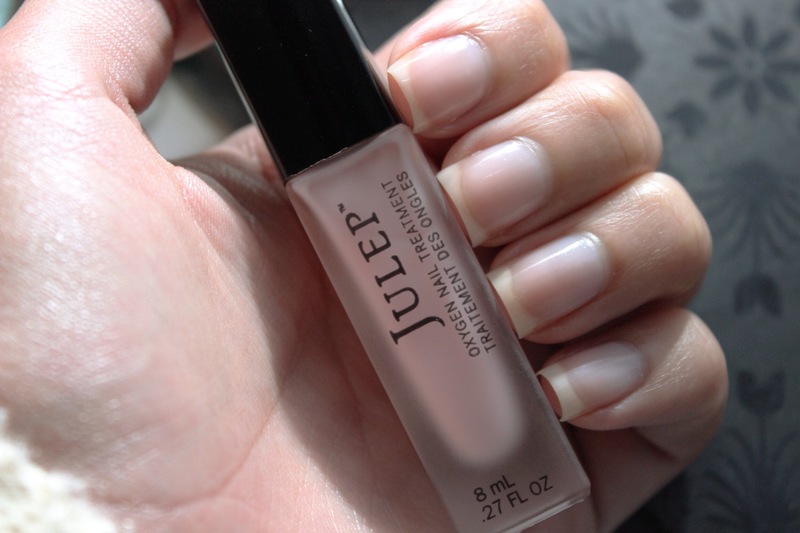 Think of it as tinted moisturizer for the nails or the your nails but better color, you get the gist of things?